Allow a checklist to be created for a task. When a task is marked as complete warn the user if all check boxes aren't checked before marking complete. We run a project based environment, and it would be really useful to have a set of tasks that we can activate when we kick off a new project. A typical project has about 120 tasks, so to create all these individually is a massive task. Alternatively, to be able to import tasks via uploading a spreadsheet or CSV file would work. Markdown support in the textarea. It would be really useful to have markdown support in the notes area. Primarily support for checkable checkboxes, lists, bolded text. 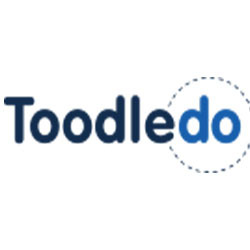 I love Toodledo, been using it for years since pocketpc and agenda fusion died. But would be wonderful if you could do something about the character limit in task notes, I sometimes need to add entire documents here and the limit is too low for the size of some of those I use. Would also be nice if notes worked more like wordpad and could have some formatting such as bold, different colours (at least red and blue as well as black). Finally any chance you could add appointments schedule so it is a full PIM not just a task list? For assistant, ability to say "OK Google, add task "task". Need to be able to configure default values for Priority, Context, Folders, etc. It's a pain currently to move specific task under some existing parent task, you need to find the way to hav ethem both on the same view and only then you can drag and drop. Please add a feature to easly assign task to subtasks by selecting from list or by adding a possibility to display parent task as separate column in all views etc. It would be nice to have some customizability in the status field names. Maybe keep the same meanings to the application but allow me to change the labels. When I select the goals view, I see a list on the left side with the lifelong goals in the top, long term goals in the middle and the short term goals in the bottom. But I cannot see in this list which lower level goals roll up to (or contribute to) which higher level goals. This makes working with different levels of goals quite difficult. What I would like to see is that the list of goals is a collapsible tree of goals, similar like when you can click on a carrot or a plus sign in a folder hierarchy to show the child folders (clicking again hides them again).